Simplicity is best. We often find that to be true in many areas of our life… with our belongings, in our decorating… and especially with food! 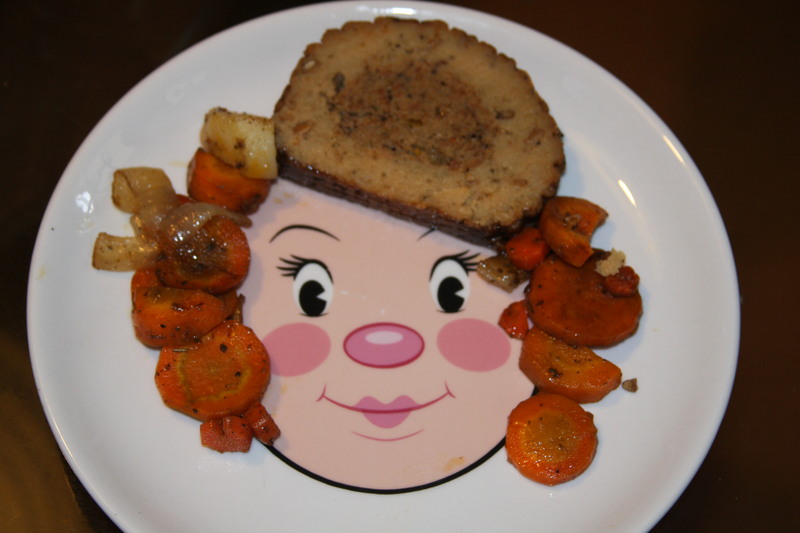 Sometimes my kids eat better eating off of their “face” plates! And, I must admit, Mom (aka me) always has a good time coming up with new looks! 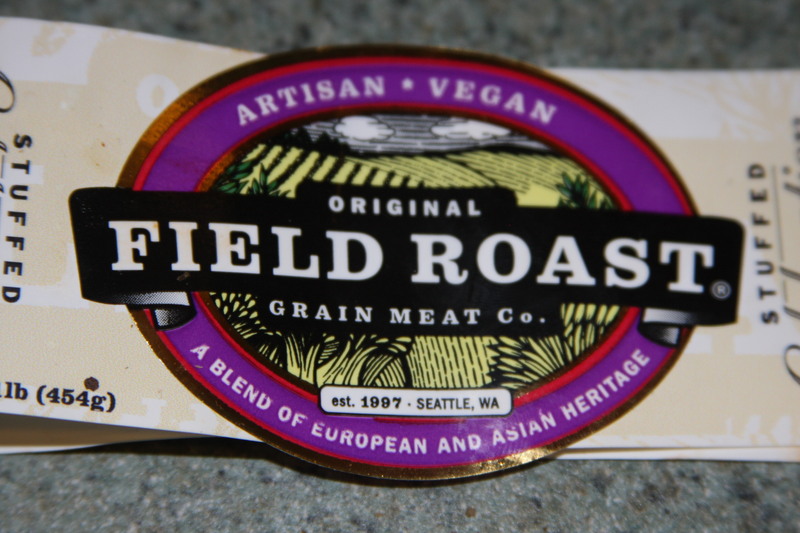 the “meat” (optional) – I LOVE using a Field Roast veggie roast. You could also use a frozen Tofurkey (thawed first). Another option is to stir in some Golden Tofu or some pre-cooked seitan or cubed tempeh. 2) Make the marinade by whisking together the olive oil, soy sauce and sage. 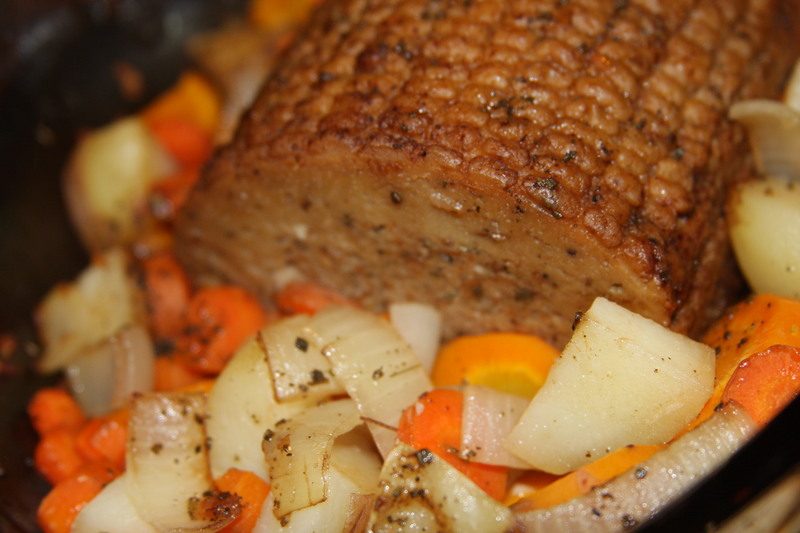 3) Next place roast (if using) in center of a lidded pan, and add the veggies around it. Drizzle all the veggies and the “meat” with half the marinade. Cover and cook for about 25 minutes, then gently stir around the veggies, adding the other half of the marinade. Cover and cook another 25 minutes or so until the biggest pieces of your veggies are soft. Slice, serve and devour! I will remind you that I do not get paid to suggest these products… If you see me recommending a product, its because I genuinely like it! 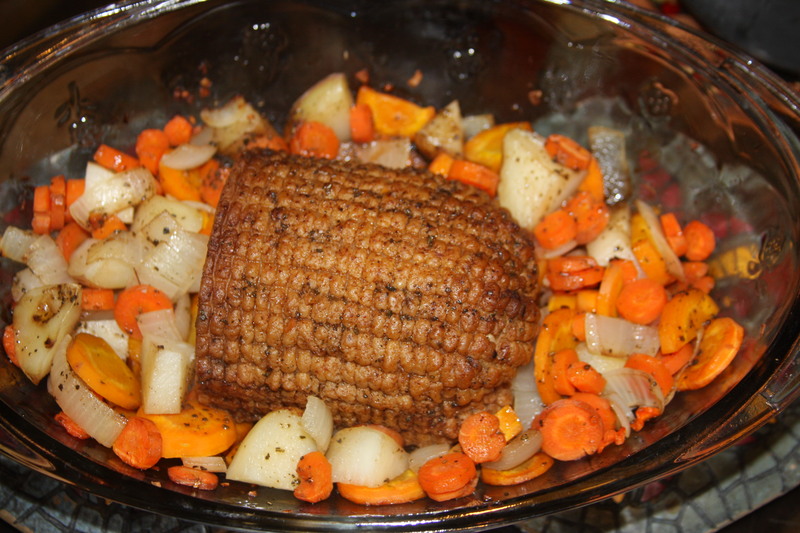 Here you can see my cooked pot roast, in which I used a Field Roast as the center. 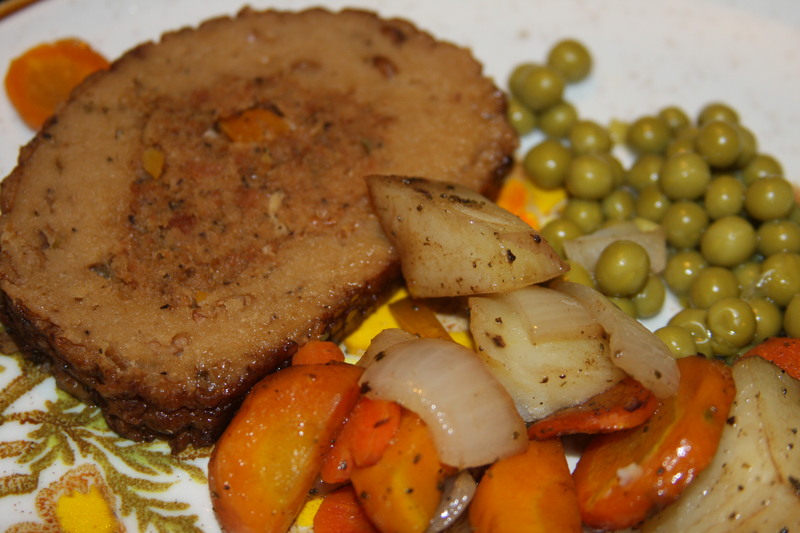 This entry was posted in dinner, holidays, Using Field Roast products, Using Tofurkey products, vegetables and tagged field roast pot roast, healthy cooking, pot roast vegetables, pot roast veggies, Vegan, vegan pot roast, vegan pot roast veggies, vegetarian. Bookmark the permalink.